This month was an amazing month for reading! I got the flu--not fun, but I read a TON. I ended this month with 11 books! Eh...this book was just okay. Someone keeps buying Paris books on our kindle account. Some are awesome and some are alright. This goes in the second category. 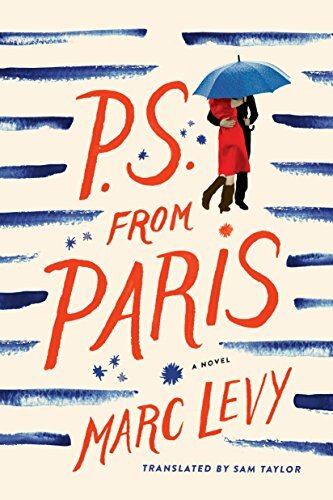 It's the accidental love story of an incognito British actor and a San Francisco author, all based in (you guessed it) Paris. It does have some twists built into the story. This is a good light read, maybe even a beach read. Oh, this book! It became the bane of my existence. I was reading the libraries copy last fall, and even then I couldn't really get into it. And then I lost the book. I NEVER lose books. I don't even like to lose hair ties. But I lost it. As you can probably guess, I found it again, during our move. At that point, I had confessed to losing it to the library, so I decided it wouldn't hurt to keep it a week longer and finish it. Even then, I still struggled. It's the book about a woman, Cora, who lives in England in the late 1800's. 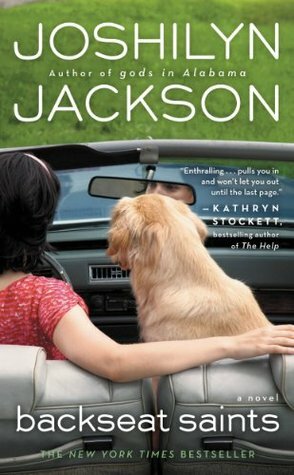 Her wealthy and abusive husband dies, so she goes off to the countryside with her companion and her son (who is probably on the spectrum, but they didn't have that phrase yet). 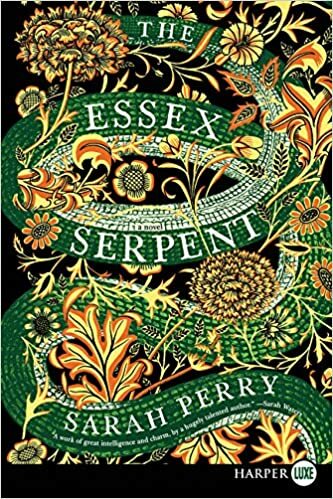 She becomes obsessed with finding the rumored Essex Serpent, and begins a strange friendship with a local preacher. I have just now discovered that this book has won a LOT of awards, big awards. Oh well, I stand my ground...didn't love this book! 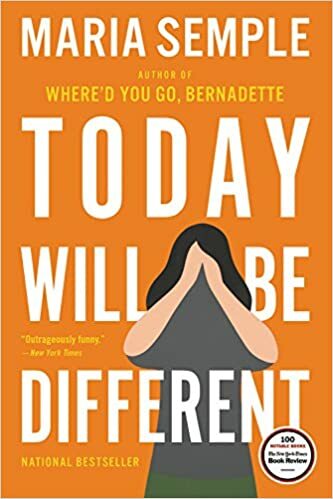 This book is by the same author who wrote Where'd You Go, Bernadette, which, if you haven't read, is just a delightful book. Today Will Be Different, while also delightful, was not quite as fun. The books spans one day in the life of Eleanor Flood, as she tackles a host of obstacles. Eleanor is slightly neurotic but mostly fun, and the book really was enjoyable. Also, it felt like a really fast read! I have a feeling the audiobook of this one is especially good. Another Joshilyn Jackson. She's quickly becoming a favorite author of mine. This book is about Rose Mae, an abused daughter who was abandoned by her mother and is now an abused wife. Now married and living in Texas, Rose Mae is dropping her neighbor off at the airport when she finds her mom, who reads her cards for her. Her mom tells her that either Rose or her husband will survive, not both. Weird premise, wonderful book! Joshilyn is such a good writer, and this book is no exception. The plot is slightly strange and quirky, but nothing outside of the believable. And her characters are beautifully flawed and, thus, very likable. Ah, another old favorite. I love to read about one of these a month. 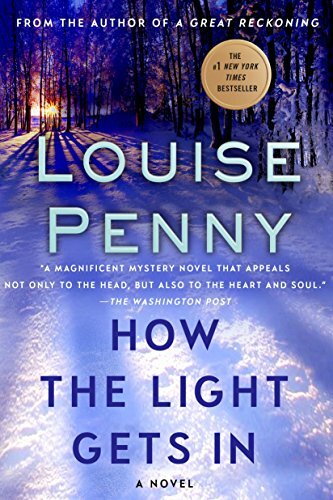 This is a Louise Penny novel, right in the middle of the Gamache series. This book was also supposed to be the last in the Gamache series, but then Penny decided to keep going with it. This book covers a lot (and a lot I don't want to give away, because it's paramount to the whole series). But, at the core, there is a murder (this time of a Quint), and Gamache will solve it. This is one of my favorites in the series. Oh, who am I kidding, they are all favorites! 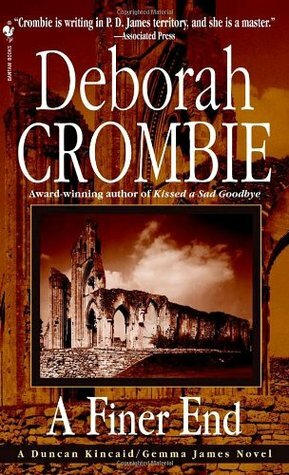 In between first reads and rereads of Louise Penny, I am scratching my mystery itch with Deborah Crombie. I think this is my fourth book of hers to read (and I have posted about the others). She is no Penny or Agatha Christie, but I do really enjoy her. This book was slightly different than the rest. Crombie's detective, Duncan Kincaid, doesn't come in until halfway through the book. This mystery takes place in Glastonbury, in the Cotswalds of England, and is fixated around the Glastonbury Tor. We actually stayed super close to that when we visited England (in Wells), so it was fun to read about. Not my favorite Crombie book to date, but I did like it. Sometimes I am able to read so many books a month because I am reading a lot of YA and middle grades books. I have always liked these genres, but now I read more of it so that I can recommend books to students. A student actually read this book first, for our mystery unit. I was super intrigued because the main character, Miranda, is obsessed with the book A Wrinkle in Time. Miranda had a fight with her best friend, Sal, and everything is changing. Then she starts getting notes, notes that reference things no one else would or should know. And she starts making new friendships. The book has a fun ending, something outside of the norm. But it is super fast paced at the end...I wish it had been a little more drawn out. 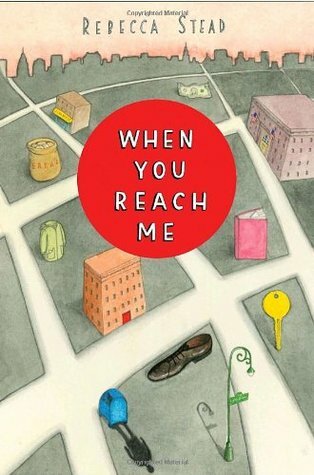 But if you have a middle schooler, I think this is a great read! I read a non-fiction book this month...woohoo! This is Jamie Ivey's first book. 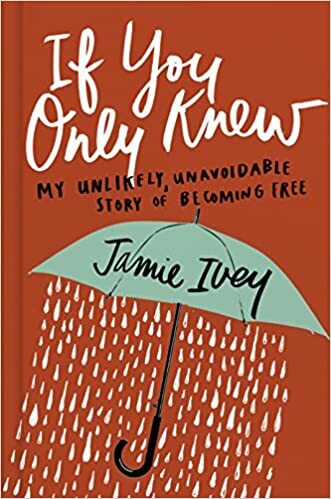 Jamie is the host of a podcast, The Happy Hour with Jamie Ivey, so I've been hearing about this book via that and instagram for a while. I am a little tired of books by Christian bloggers and podcasters. Now, they all follow that same path, and the books are repetitive and formulaic. But I really loved this book. Jamie talks about past sins and struggles. Her premise is that we need to open and vulnerable with others. Every page of this book talks about the gospel, and she uses scripture constantly. This is a wonderful (and pretty quick) read! Well, I had to reread it, with the movie about to come out! 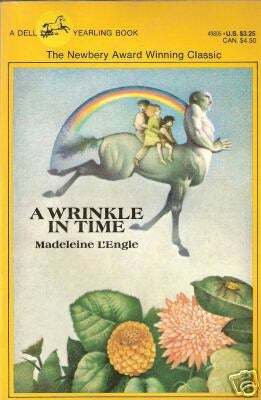 A Wrinkle in Time is the first book in the time quintet. My favorite book in the quintet is actually A Swiftly Tilting Planet, but Wrinkle is a close second (although I like the Austen series even more than the time quintet!). If you've never read this book, it introduces Meg Murry, her genius brother Charles Wallace, and Calvin. The three travel through space and time to rescue Meg's dad, with the help of three women. 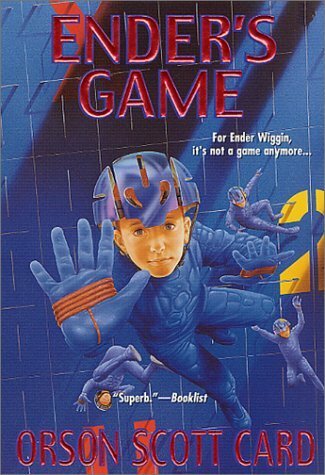 I loved this book so much as a middle schooler. I think the movie is going to be a tad different, but it looks like that themes will remain the same. I would suggest reading the whole time series! Anne Bogel talked about this series a couple of What Should I Read Next episodes ago. I went straight to the library to check out the first book. I have since finished the second one and am currently reading the third. These books are about Prue and Curtis, two 12 year olds living in Portland who make their way into the Wildwoods, a magical area north of the city, in an attempt to rescue Prue's little brother. The books were written by the lead singer of the Decemberists and illustrated by his wife, who also illustrated The Mysterious Benedict Society. If you liked The Mysterious Benedict Society or Series of Unfortunate Events, this series is for you. Magical at times, but with a healthy dose of realism mixed with humor...really good! And the surprise book of the month! Seriously, this book has been on the kindle for years, and I have never once considered it. I don't think of myself as a science fiction fan, although I did enjoy William Gibson books as a teen. But I had a group of students read this book last fall, so it's on my radar. This is the first story of Ender Wiggins, a brilliant 5 year old who may be the only hope humans have for defeating the "buggers," aliens from another planet. Ender is taken from his family and goes to battle school in space. I couldn't put this book down, and have already started readying more from this series! Seriously, you don't have to be a sci-fi fan to enjoy this book (or maybe I am really a sci-fi fan at heart?). Alright, there we go, all 11 of February's books. I know that March will not be as many, but I'm already on book 2!